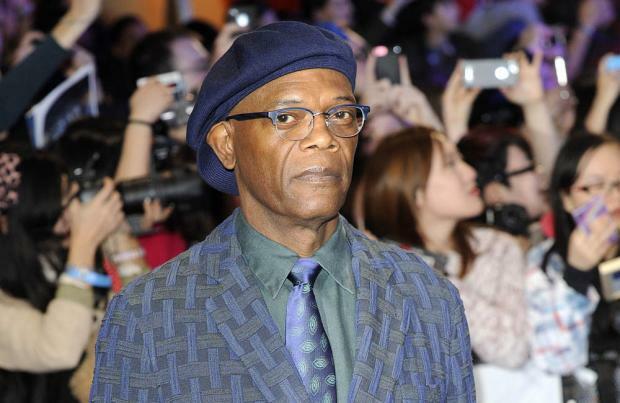 Samuel L. Jackson had to convince Quentin Tarantino to make 'The Hateful Eight'. The Hollywood actor and the award-winning director have teamed up for the much-anticipated Western, but Samuel has revealed the movie would never have been made if it wasn't for his intervention. Asked if the rumours about his input in the movie were true, he said: "Totally. I mean, there was no way we could read the script and sit there and not make the movie. "And I'm, 'No motherf**er - this one, this is great, this is awesome.' The response of the audience as we read it was just incredible. Quentin was reading the stage directions and having a great old time, the audience applauding and cheering and seeing it in their heads in the same way we saw it and we felt." Samuel admitted he's relieved he convinced Quentin to change his mind. He told Britain's GQ magazine: "We were just glad that he changed his mind. "When the script got leaked, I didn't have it, so he knew it weren't me. Only about three people among that group had it and I wasn't one of those three."